To reach the summit of the highest peak in the world - Mount Everest (8848m) is one of the exhilarating and wonderful experiences of your lifetime. You will be walking all the way through the normal route passing through the south Col, setting a first base camp at an elevation of 5400m and four more camps in the peak region at about 6065m, 6400m, 7100m and 7920m correspondingly. Since the route is technically demanding, climbers need to be aware of the probable rapid weather changes and the danger involved. The feeling to be at the top of the world is really something unconquerable and perhaps one of the best experiences that you can get. A short walk all along the moraine will take you to the icefall with huge crevasses which are considered as one of the obstacles for Everest expedition. Also, our experienced Sherpa teams will fix ropes as well as ladders that will assist the climbers to traverse through this part to reach Camp I. And then we will continue our climb in order to reach the Camp II. 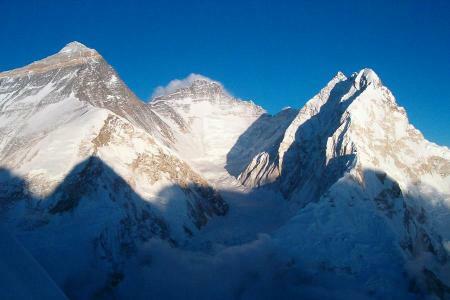 We will ascend on snowy and rocky way up that take us to Lhotse Face then to Camp III. From the camp III our ascend all along the moderate mixed rocks and snow becomes more challenging which will certainly take us to South Col- the Camp IV. The path steepens after moving up to snow slopes to arrive at the crest of the South East edge and we have a easy climb after that steep climbing once more to reach to the South summit. A small traverse and we will climb on a short, vertical rock and snow channel that leads to the final point, to the very top of the Everest. Definitely, Mt. 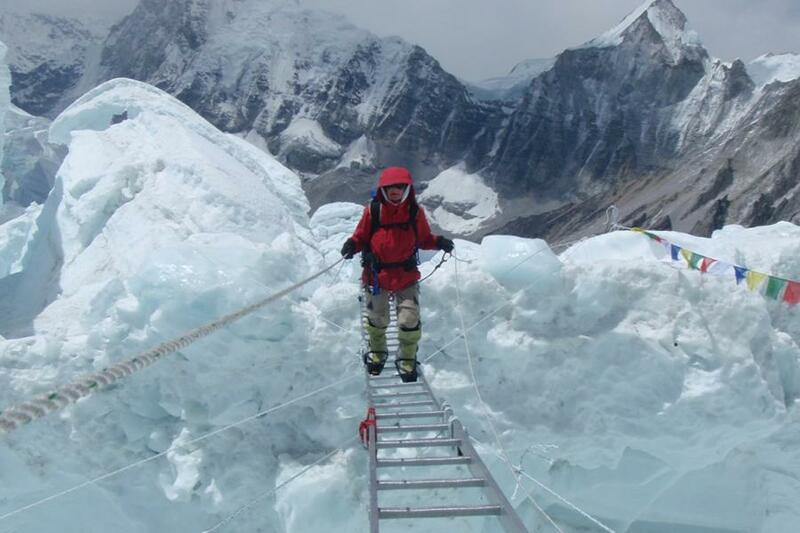 Everest is a climbing peak to everyone from expert mountaineer to an inexperienced but adventure lover for which you will be guided by a proficient mountain guide as well as team of ascending Sherpa guides. 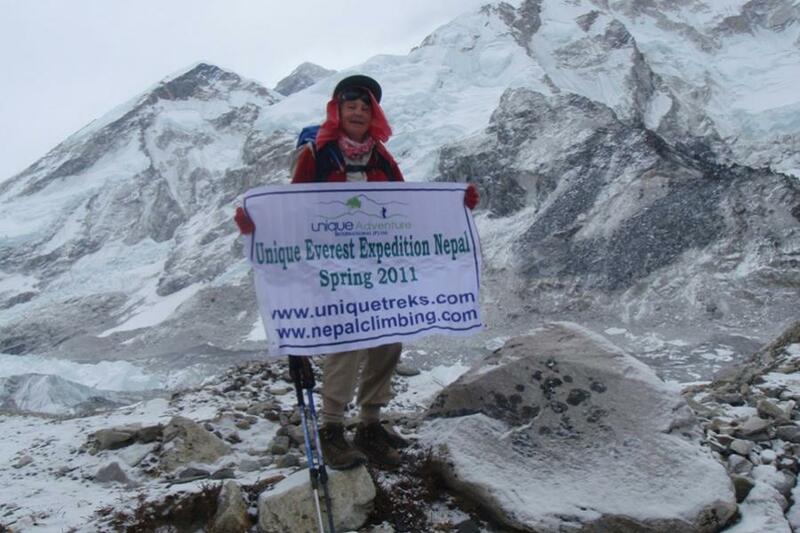 Unique Adventure Treks is confident to offer you Mount Everest Expedition with the first-class service. Let us get it organized for you. As soon as you arrive in Kathmandu, you will be received and welcomed by our representatives at Tribhuvan International Airport and subsequently s/he will transfer you to the hotel. You can either relax or go around as per your desire for the rest of the day and overnight at a hotel. You will be in Kathmandu and visit around some of the majestic places and national and international heritages like Pashupatinath, Swoyambhunath, Bouddhanath, Kathmandu Durbar Square, etc. for two days. You will be briefed about your trek by your guides and completion of official procedures will be done. Also you will make all the necessary arrangements for the whole of the trip. 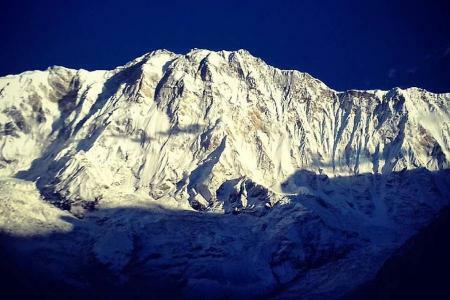 Today we will take wonderful flight early in the morning from Kathmandu to Lukla (2827m) which takes about 40 minutes. From the flight, we can feel the proximity of enormous peaks adjoining Nepal and Tibet. We will reach Lukla in the afternoon and we commence our official trek by moving downwards to the Dudh Koshi River and catching the major path to Namche Bazaar, located just above Chaunrikharka (2713m). The track is trouble-free and after passing the tiny village of Ghat (2550m), we take a short walk to Phakding. Overnight in Phakding. From Phakding, we go ahead with a slight climb to Jorsale and move further from a waterfall. Now, the trails of villages are united with wonderful forest of giant firs, rhododendron and magnolia trees. Afterward, we walk to Namche and cross few bridges and then go up few hundred meters and another steeper way up through the jungle. We walk for 4 hours and stay at a lodge. We have a rest day in Namche Bazar for acclimatizing in the height. Namche is a village situated in a large protected hollow. Over the village, there is a national park headquarter where one can view both the sunrise and sunset. 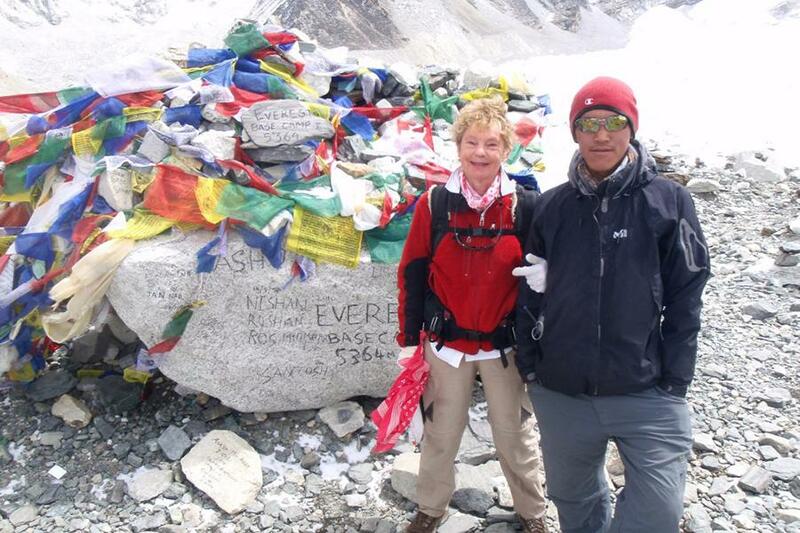 The wonderful vista includes scenery of the Khumbu peaks and fascinating views of Everest. After breakfast, we can either set off for a walk to Thami (3810m) over the arresting Bhote Khola River Valley or walk off to the national park headquarters to sight the unique Sherpa way of life and culture. Overnight at lodge in Namche Bazaar. We trek down all the way through the Khumjung village today and move to the most important path to Everest at Shanasa. We continue walking to Trashinga and afterwards go downwards to pass across the Dudh Kosi at Phunkitenga (3250m). We have a broad and upright climb via fir, pine, rhododendron, black juniper forest and then reach Tyangboche Monastery. 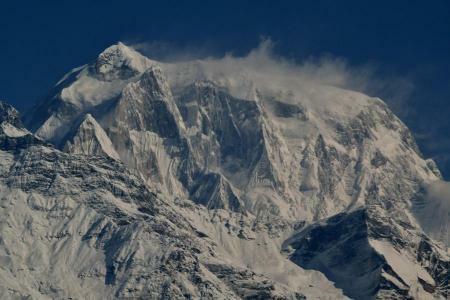 Also, we can observe giant peaks like Ama Dablam, Kantega and obviously the gigantic Mount Everest. We stay overnight at lodge in Tyangboche. This is one of the demanding days. We walk by the side of the Khumbu Glacier and up and about to Everest Base Camp (5365 m), very near to Mt. Everest where the sight of the Khumbu Icefall from Base Camp is stunning. When we get there at the moraines of Changri Nup Glacier, we have track moving up and down over a wobbly route that shows the way eventually to the out of the blue glacial sands of Gorak Shep (5160m). And then, we accordingly, move towards the Everest Base Camp. Overnight at th tented camp. Then we have 50 days ascend when will be walking all the way through the normal route passing through the south Col, setting a first base camp at an elevation of 5400m and four more camps in the peak region at about 6065m, 6400m, 7100m and 7920m correspondingly. Camp I (6065m) is situated above Khumbu ice fall. It is a deserted and out in the open place mostly used as rest before ascending to Camp II (6750m). The glacier flanked by camp I and II rolls out but there are still big crevasses close to camp I. Similarly, Camp II (6400m) is positioned on a cross moraine underneath of West edge. 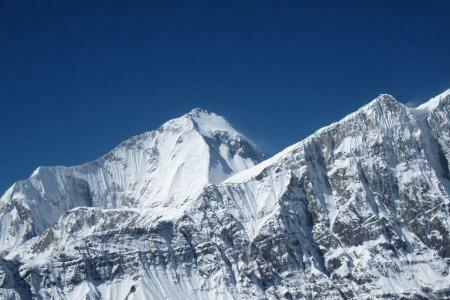 It is a very harmless and sheltered spot with wonderful views on Lhotse. 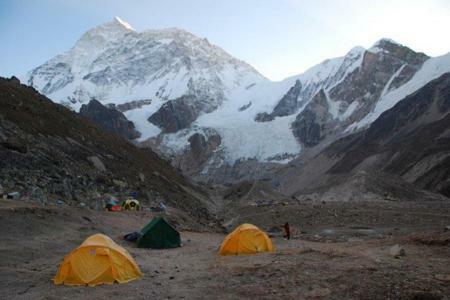 Camp II is main location for acclimatization and is also the base for camp III. Likewise, Camp III (7100m) is situated on small ridge on the Lhotse wall. We will have to cross the glacier in the right side prior to 600m ascend on the solid snow field. The way is safe with few of the short less than 3m tall ice cliffs, where Sherpa guides will help you to set up with fixed ropes. Moreover, Camp IV (7920m) at South Col is the final camp which is easy to reach by majority of climbers without additional oxygen. There are two rock sectors to steer before camp IV. Again the Sherpa guides will fix the ropes to let you climb. This climbing period is the most significant part of the trek. On this day, we will trek back to Thyangboche where we can again see fir, pine, rhododendron, black juniper forest and then reach Tyangboche Monastery. 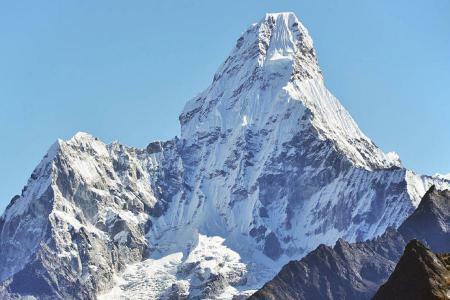 Also, we can observe giant peaks Ama Dablam, Kantega and obviously the giant Mount Everest. Overnight at lodge. On this day we will arrive at Monjo trekking through Namche Bazaar and crossing Dudh Koshi River. Today you have a rest day in Kathmandu. Or, alternatively explore around Kathmandu valley which includes visit around historical and spiritual attractions; including Durbar Square, Bouddhanath; one of the largest stupas in Nepal, Swayambhunath; top on the hill in the city knows as the Monkey Temple, Pashupatinath; Hindus holy place. Stay overnight at Sa Sa hotel in Kathmandu. Climbing Permit fee for Mt Everest and Sagarmatha National Park fee. The trip was amazingly planned and reasonable.